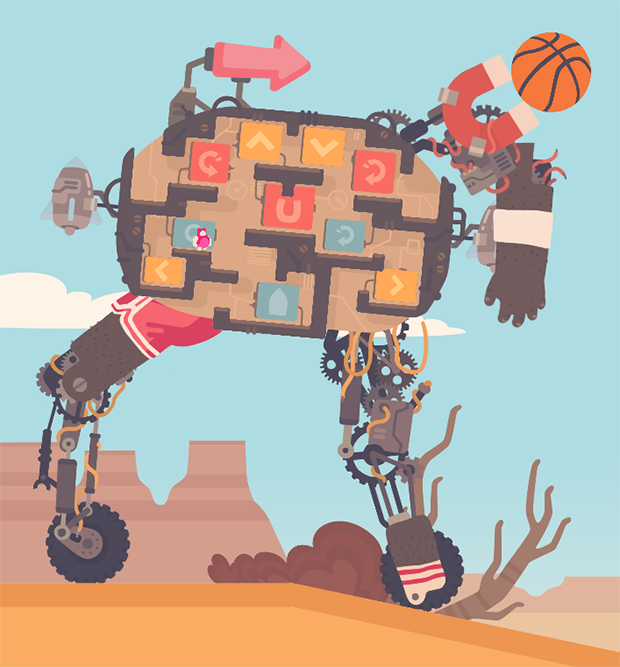 Would I be correct if I guessed that the player controls that little dude and uses those symbols to move the robot? now i have to look that up! This is one of the many reasons why you guys are one of my favorite dev teams. what do you mean stupid, its idiotic at best. Nah, jks. Looks like fun. It looks like a fun game, will it be local multiplayer too? Push it to OUYA! This platform need games like this, and people love them too.